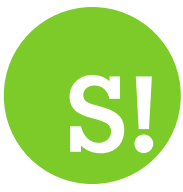 By Edward Stephens on 2019-03-24 - Edward edits the motoring pages of the Birmingham Mail and Birmingham Post as a freelancer after more than 35 years on the staff. 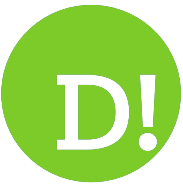 Also writes on motoring for various other newspapers, trade magazines and well known websites. 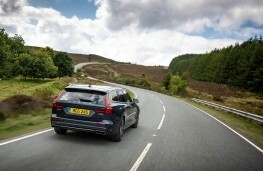 VOLVO'S V60 might be the smallest estate that the Swedish car maker now builds but don‘t be fooled - small it isn't. 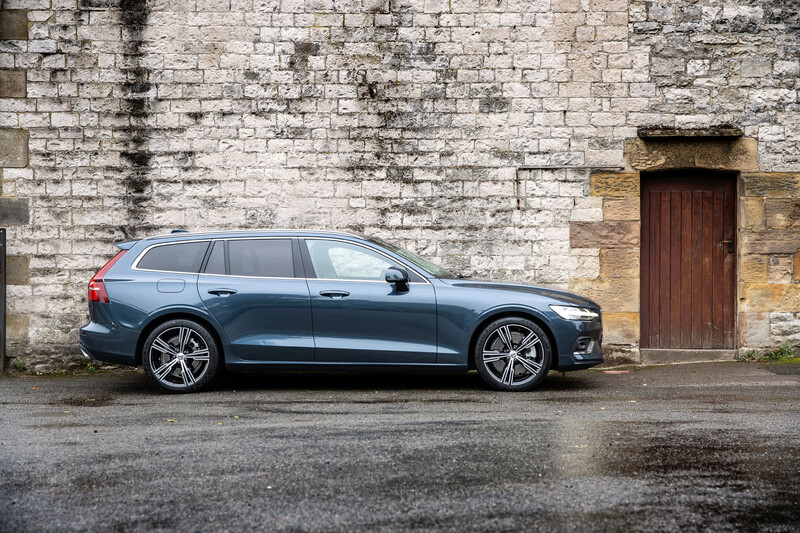 In fact - as Volvo is keen to stress - it has the largest luggage area of any premium compact estate and one of the biggest cabins in its class. And unlike some of its competitors that means plenty of practical parcel space for the family or the business user as both the floor and sides are flat making loading easy, especially as there's no loading lip. 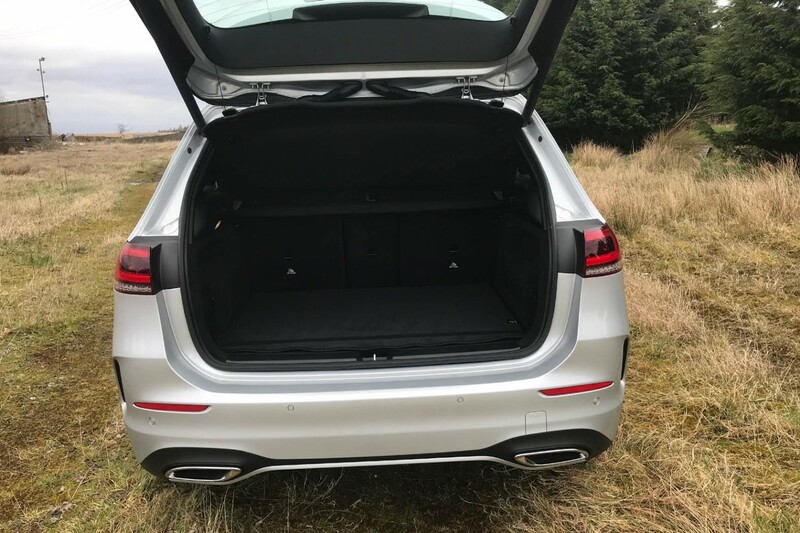 There's a generous 529 litres available with the rear seatbacks up and a whopping 1,441 litres with them folded down, which is exactly the sort of space that estate buyers are looking for. Another bonus is that all models, irrespective of spec, come with a powered tailgate. 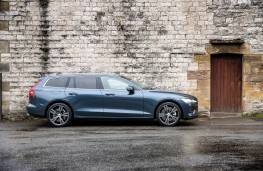 But even if space is your main priority style has to come a very close second and this is an estate that ticks all the right boxes in that department. 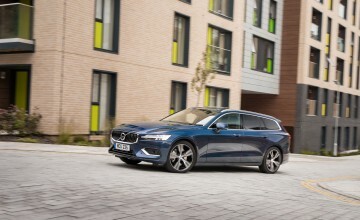 With its low stance, tapering side windows and clean lines the V60 shows that estates can be sporty as well as practical. 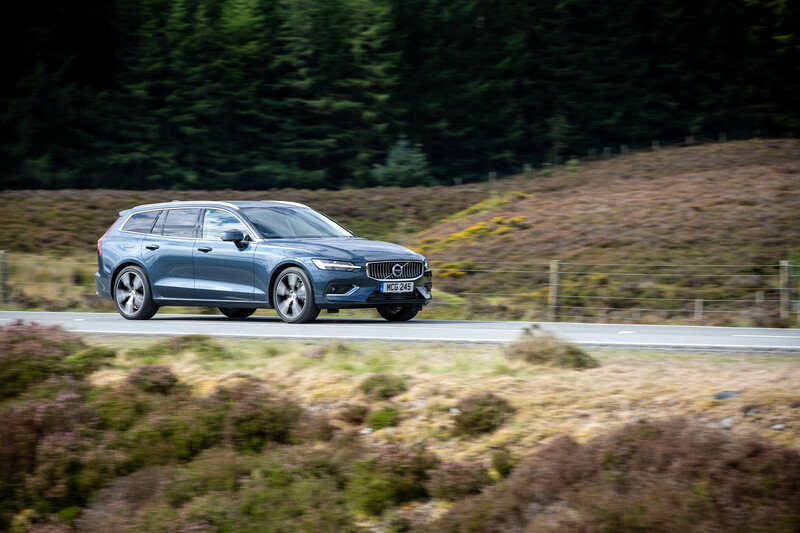 And just because it's low I doesn't mean any lack of headroom, particularly if you opt for one of the higher spec models with the full length panoramic glass roof which gives you more inches above your head than the majority of cars on the market today. 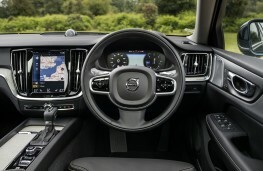 The interior offers a clutter free, minimalist approach to car design with few knobs and switches as most on-board activities are operated using the large, portrait-style, central nine-inch high touch screen. What switches there are solid and chunky and everything is intuitive. In front of the driver is a 12.3-inch active display screen featuring the virtual speedometer and rev counter dials which reduce in size if you want the satellite navigation map to sit between them for easy viewing. 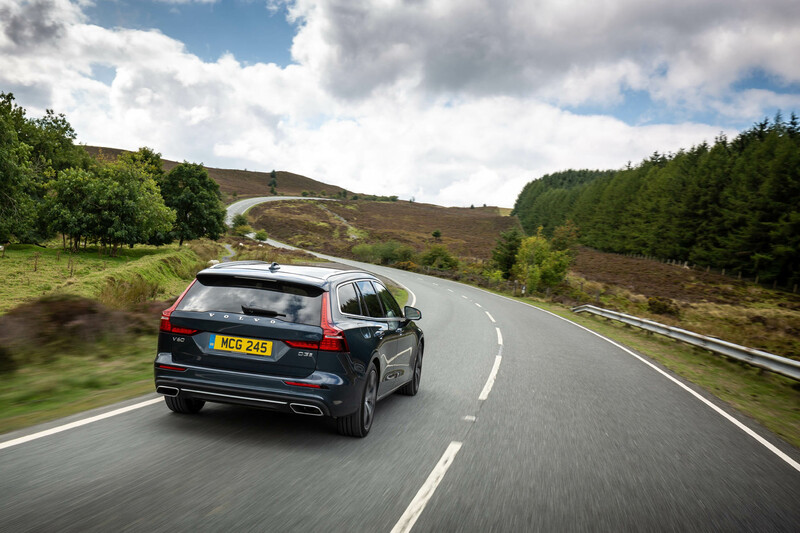 If you don't want to take your eyes off the road at all numerous features can be voice activated. The high spec Inscription model, driven here, has an up-market feel to it thanks to leather upholstery and attractive driftwood inlays in the dashboard. 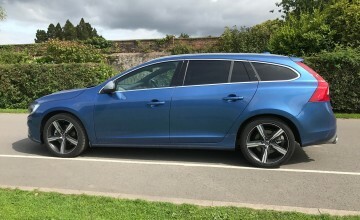 And while all V60 models come with a 10-speaker sound system mine was fitted with a 14-speaker Harman Kardon 14-speaker system as an optional extra. Power comes from a 2.0-litre, 150bhp engine mated to a smooth eight-speed automatic gearbox ensuring refined performance but with plenty of kick down power in reserve. 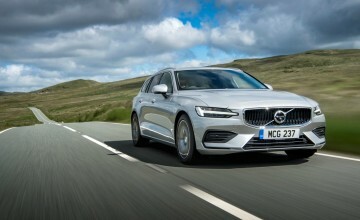 If you want even more there's a 190bhp model available. There's a choice of driving modes which can be changed on screen, with eco, comfort and dynamic on offer or alternatively you can key in your individual settings. 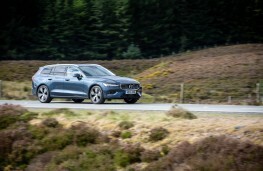 The V60 offers superb ride quality and an impressively quiet cabin which allows you to cover the miles in a very relaxed manner. 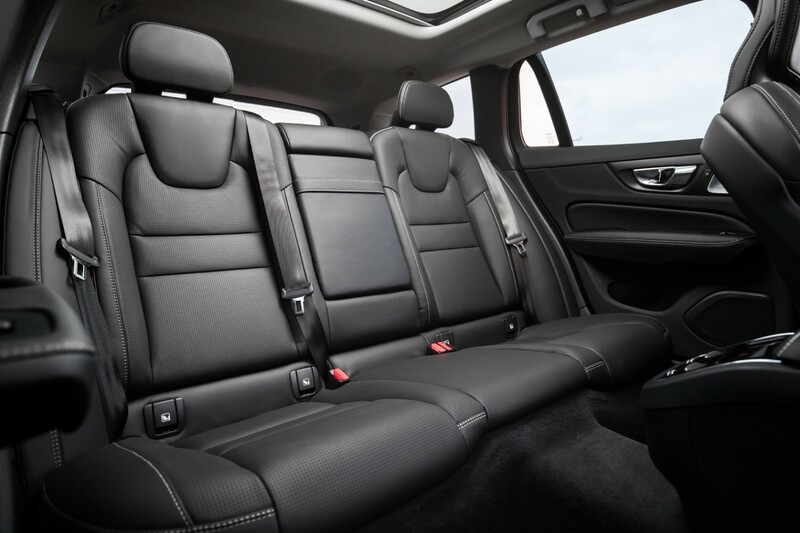 It's also packed with a host of small features which make life easier, like keyless locking and unlocking and lights on each of the door handles to illuminate the floor so you don't step in any puddles. 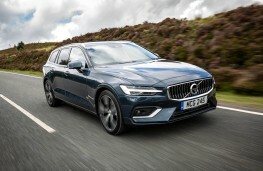 And being a Volvo it's packed with safety features including LED headlights with an automatic high beam/dipped beam function, City Safety for detecting pedestrians, cyclists and animals and Run-off Road Protection which prepares the vehicle and driver should you accidentally run off the road.